If you’re sporty, in need of a picnic or study break, Cape Town has the best outdoor locations for you. 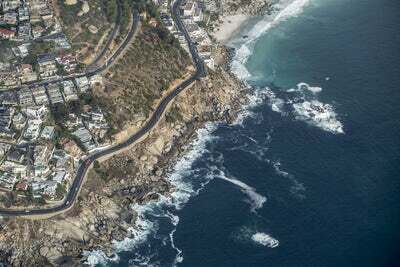 Take a hike up Lions Head, visit picture-perfect Kirstenbosch and Stellenbosch Gardens and go chill on Sea Point, Clifton and Blouberg beaches. Cape Town’s nightlife excites everyone! First Thursdays is an event where all galleries are open till late and other cultural events are showcased. Cape Towns MANY bars and clubs provide music for all types of people. You’ll be able to dance in your favourite club until you can’t feel your legs anymore! Supermarkets and shopping centres will always be in walking distance. There are more restaurants and café's than people in Cape Town so you’ll always be able to grab a bite. Imagine sipping on an espresso of Kloof street after a brunch at your favourite cafe overlooking Table Mountain. Need a new wardrobe? Look no further: Cape Town is the capital of thrift stores. Because of Cape Town’s range of institutions, scenery and good vibes, people from all walks of life are attracted to the Mother City. Wherever you go, you’ll meet different types of interesting, friendly people who'll help you see life from different aspects and its these different types of people that bring Capetonians together. Are you leaving home for the first time? Imagine waking up each morning to mountain views from one window, and beach views from the other. Or are you moving to the big city for the lights and noise? Cape Town has it all. DigsConnect makes life a breeze, with rooms available in cozy homes with mountain views in Kennilworth to top floor open plan apartments off Kloof Street in the City. Or live the real student life and have a flat in Rondebosch, or a room in Claremont.